The OT200 and Flat Spaces: Earlier this year we re-visited our installation at Flat Spaces, a fantastically accessible Holiday Home in Ropley, Hampshire. 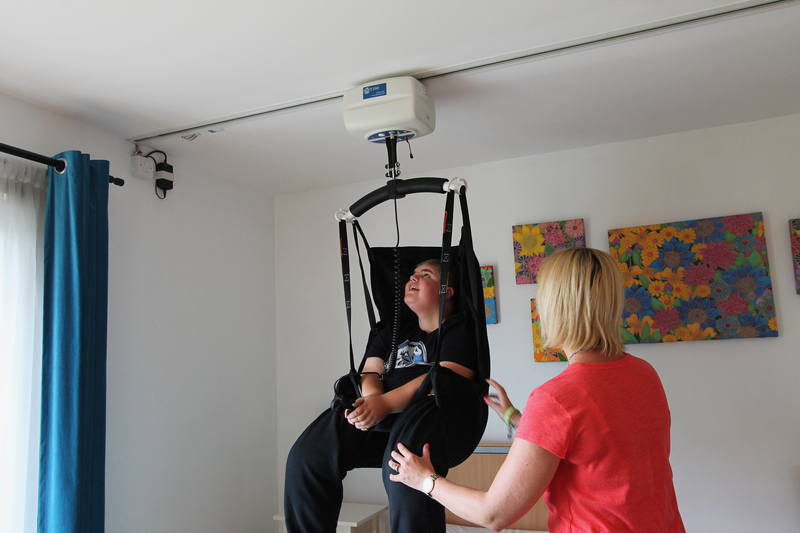 A highly sought after inclusive holiday location, our first video showcases the OT200 Compact Ceiling Hoist demonstrated in-use by guests Lisa Edmunds and her son, Cameron. The video not only provides evidence of aesthetics, with neat flushed tracking and cut-out door headers to allow the hoist to pass seamlessly between rooms, but also highlights the ease of use as we follow Lisa quickly and simply hoist her son and trace their faultless and unhindered movement through the property. The OT200 covers the span of the facility running from bedroom to ensuite to master bedroom. 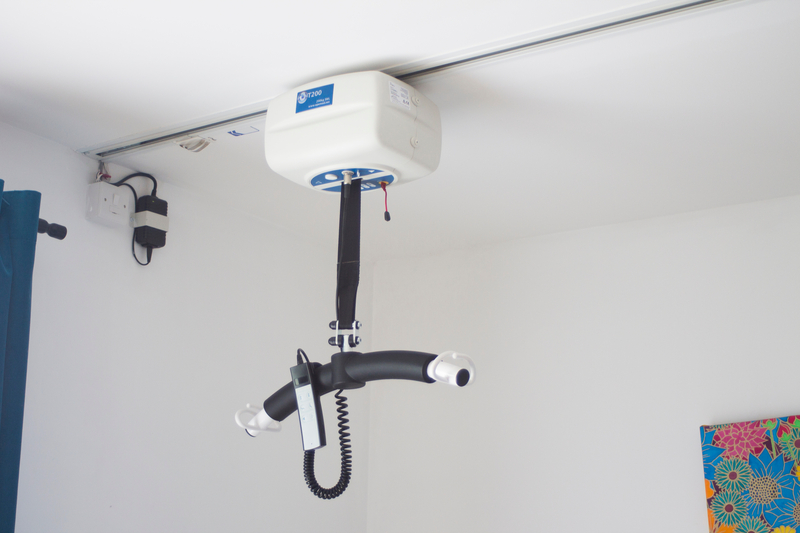 The tracking system is recessed and flush into the ceiling making the system unobtrusive and an aesthetic solution. 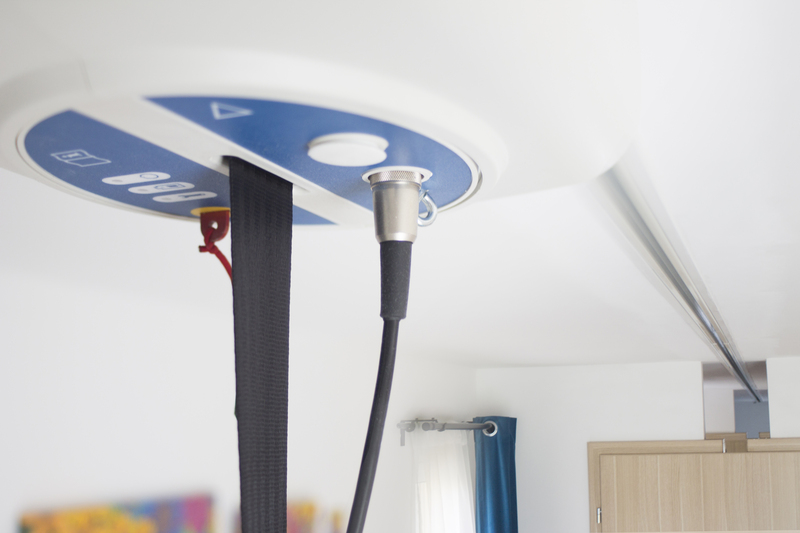 The OT200 Ceiling Hoist also offers a hybrid gravity powered charging solution, allowing the battery to last twice as long as a standard powered hoist. 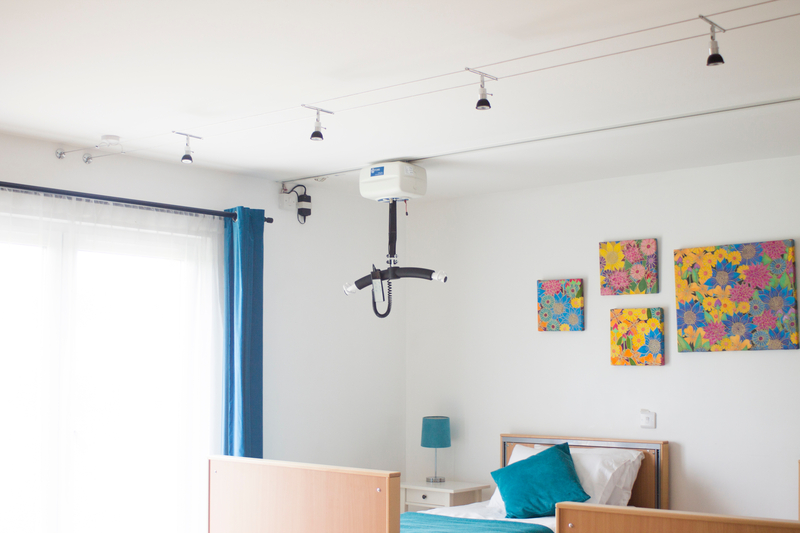 Installing the OT200 into this wonderful holiday home, allows guests to enjoy their holiday whilst reducing the risk of injury to carers and ensuring independence and freedom of movement to users. We also captured the story behind our location. Flat Spaces is a purpose-built, accessible holiday home that’s as luxurious as it is spacious. It’s an ideal home-from-home for wheelchair and powerchair users thanks to the wide, bright and open spaces. Flat Spaces is the brainchild of Tom Yendall a man known for his work with the Mouth and Foot Painters Association. As the founder, Tom’s mission is to enable those with severe disabilities to take a holiday, with the full knowledge and confidence that their needs will be catered for. The vision is to provide high quality, fully accessible holiday accommodation for the severely disabled and less abled traveller by means of a UK and overseas network of well equipped, internally identical flat space bungalows. Visit flatspaces.co.uk to find out more. OpeMed has been proud to support the Flat Spaces endeavour, donating a range of specialist equipment to ensure holidaymakers of all abilities will be fully accommodated. This includes the OT200 Hoist, Height Adjustable Washbasin and Wash/Dry Toilet among other specialist equipment. Flat Spaces has garnered the honour of being named one of four finalists in the Beautiful South 2017/18 Access and Inclusivity Award. The Tourism Award, which saw a record number of entries from the South East this year, will have its winners announced on November 29th. Being amongst the finalists for such a prestigious accolade is proof that Flat Spaces is very much the cream of the crop in regards to Accessible Holidaying in the region. We hope these videos will prove a viable resource for showcasing design possibilities and demonstrating the use of the hoist itself, which benefits Architects and Contractors through to OT’s and Users. If you would like a downloadable copy please contact us on 01252 758 858 or email info@opemed.net. Watch the next instalment showcasing the Monarch Portable Hoist and the OpeTrack Gantry System.